FOR THE PERFORMANCE OF JUNE 20th, ALL TICKET SALE PROFITS will be donated to RAICES. RAICES is a 501©(3) nonprofit agency that promotes justice by providing free and low-cost legal services to underserved immigrant children, families, and refugees in Texas. Tickets are $15 and can be purchased at http://hff18.org/4790. In the emergency room of a Providence, Rhode Island hospital, Debbie waits for her husband Freddie and any news on the condition of their daughter, who has fallen down the basement steps. However, upon Freddie’s arrival, the circumstances surrounding their daughter’s accident become murky when Debbie and Freddie struggle over blame and potential negligence. 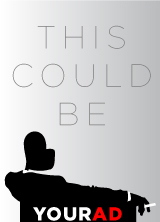 As the night wears on, the couple’s relationship unravels to reveal a broken home filled with doubt, fear, and a desperate search for identity, forcing Debbie and Freddie to face the most important—and divisive—decision of their lives. 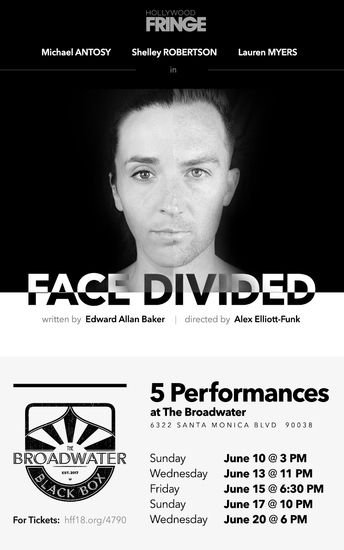 Face Divided will be presented at The Broadwater (6320 Santa Monica Blvd, Los Angeles, CA 90038) as a part of the 2018 Hollywood Fringe Festival.